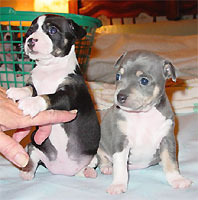 Photo on left, bred by Fair Oaks Kennel - Darla Wilson CA . 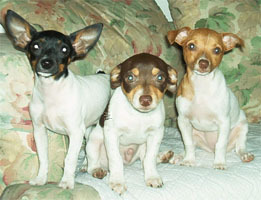 Middle and right photo bred by Burz's Rat Terriers - Margaret Burz CT. 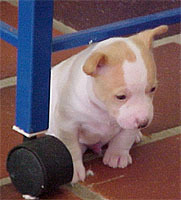 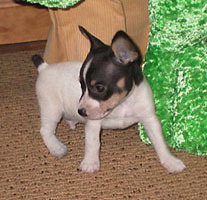 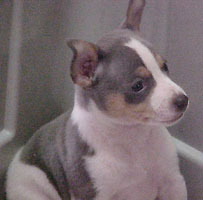 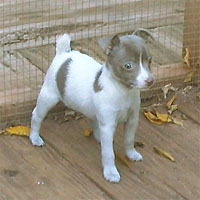 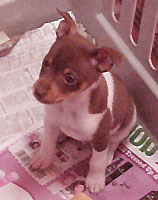 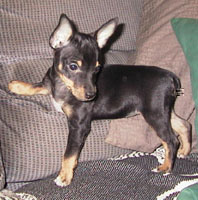 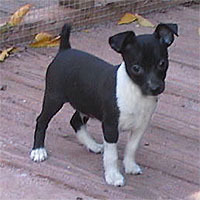 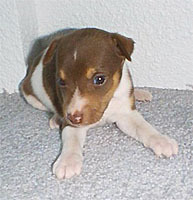 The first two pups bred by Burz's Rat Terriers - Margaret Burz CT.